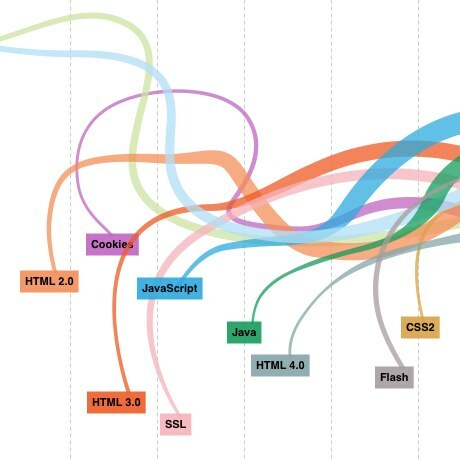 The Evolution of the Web is an interactive graphic created by Hyperakt charting the rise and change of various technologies and browsers since the birth of the web. Each browser is shown within a timeline with screen captures of their various versions, plotted against their support for standards and technologies that appear as time progresses. This induced flashbacks of the horror of coding for IE3 and Netscape.